Vocal Instruction and Advice from Around the World! 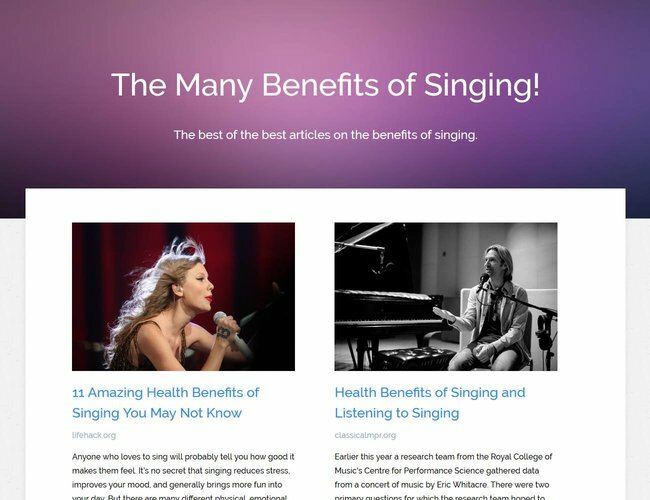 We've found the best of the best articles on the benefits of singing. You'll be surprised at just how many ways singing can improve your life. 10 industry professionals share their candid advice about creating a successful career in the ever changing music industry. 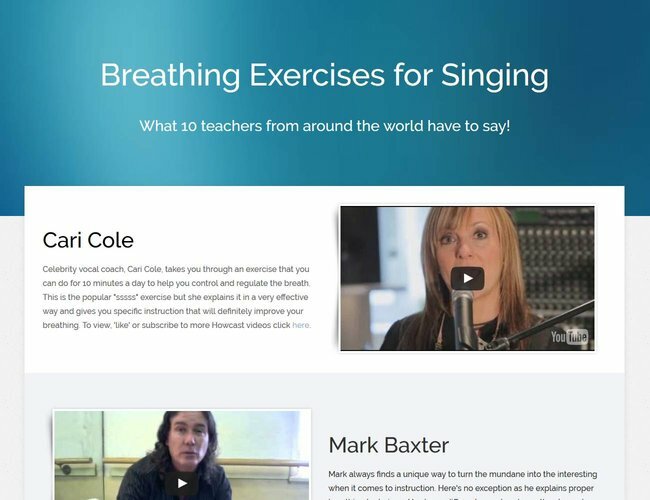 The foundation for singing, breathing is critical and we found 10 teachers who lend their unique perspective with practical exercises. 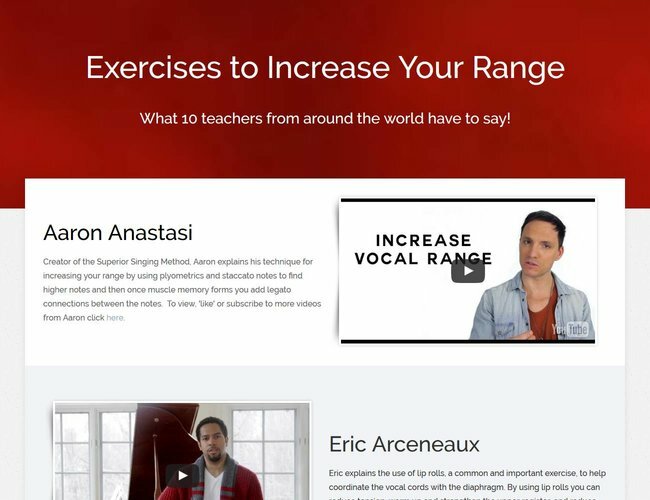 Whether you want to sing higher or lower, here are 10 teachers who each approach the subject of increasing your range in their own unique way. 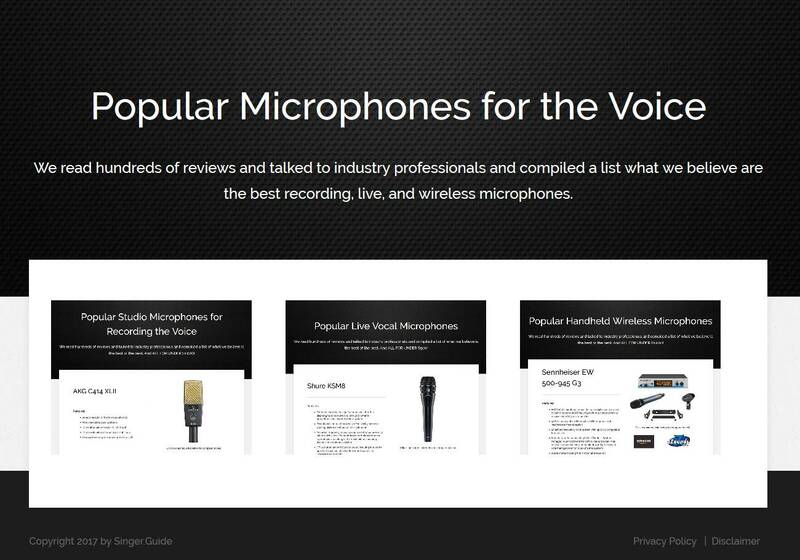 We read hundreds of reviews and talked to industry professionals and compiled a list of what we believe are the best recording, live, and wireless microphones. 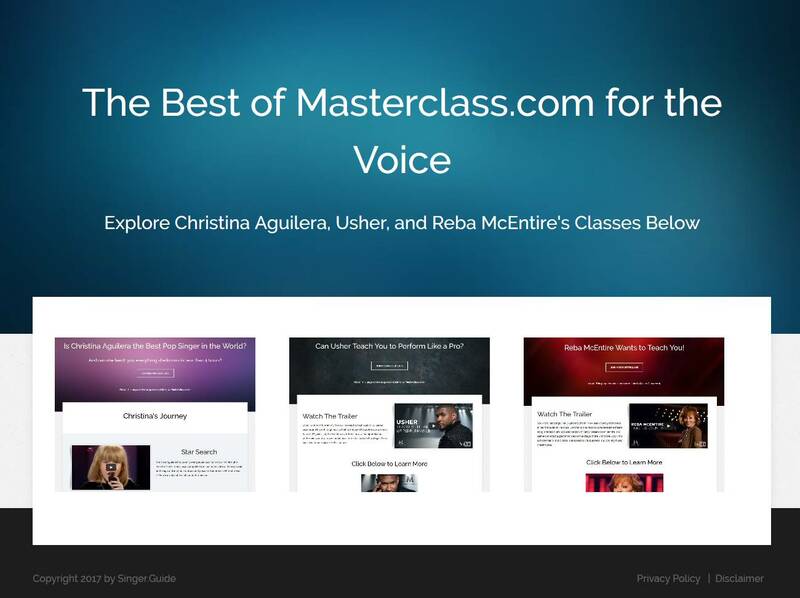 Explore Christina Aguilera, Usher, and Reba McEntire's Classes here! 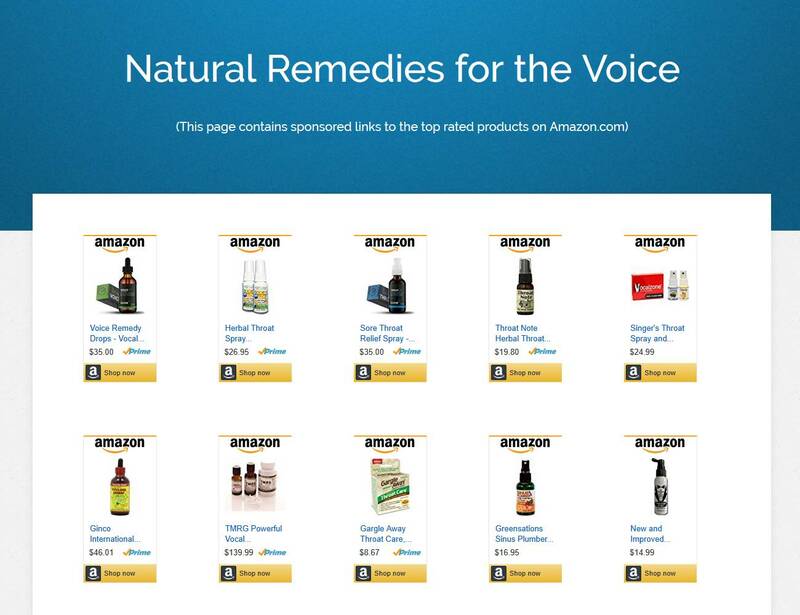 Here are several natural sprays, drops, and vaporizers to help soothe the voice and help the body's natural healing mechanism to do it's job. 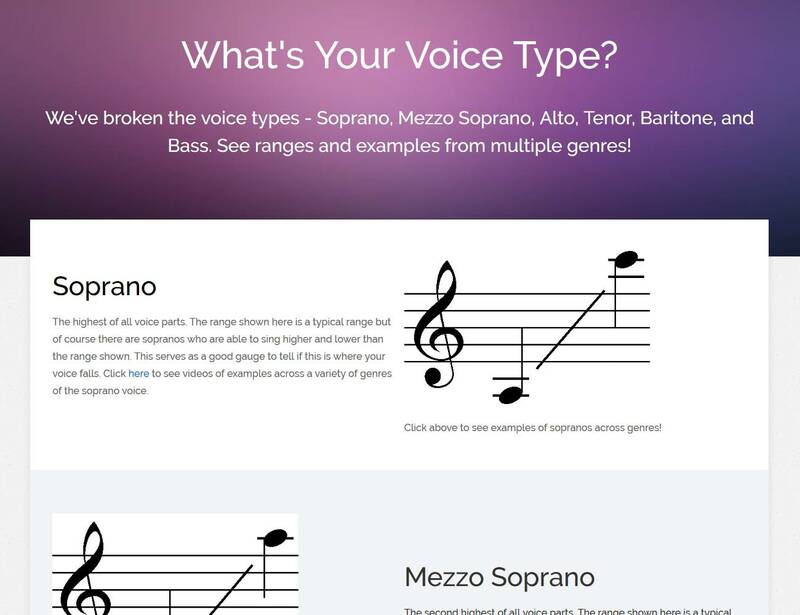 We've broken down the voice types - Soprano, Mezzo Soprano, Alto, Tenor, Baritone, and Bass. See ranges and examples from multiple genres!